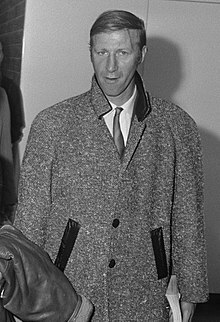 Jack Charlton is an English retired footballer. He has played for England national team. His younger brother is Bobby Charlton. ↑ Strack-Zimmermann, Benjamin. "Jack Charlton". www.national-football-teams.com. This page was last changed on 12 February 2019, at 15:51.